I recently bought something that has been on my nonelectric to-get list for awhile - a windup clock. Even though electric clocks don't use much energy, I like that I don't have to plug it in, reset it every time we lose power, or buy batteries for it. To the frugal, every little bit helps. 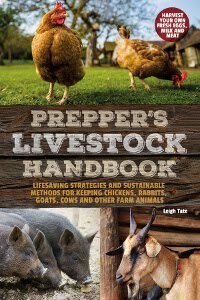 To the prepper, it's one more thing that doesn't eat into the stockpile of batteries. I tried to find one locally but had no luck, so I turned to the internet. The first thing I noticed was that almost none of these clocks rate very well in consumer reviews. They average around three stars. Why? The biggest complaint seems to be that they don't keep time very well. I found that to be somewhat amusing considering that most electric clocks tend to gain or lose time too. We have two plugin clocks and five battery clocks in the house. Even when all are set to the same time, it doesn't take long before none of them says the same thing. Heck, I used to have a computer that lost time. Every couple of months it lost about 10 minutes. One of our clocks is an "atomic" clock. It receives the time via radio signals from some super clock somewhere said to keep "real" time. It's the one we set our other clocks to, but I noticed the other day that it's two minutes different from my husband's cell phone, which also seems to receive the time from somewhere else. Which one is correct? More to the point, does it really matter? Now, I suppose it would matter if I was one of those women who had my time schedule so fine-tuned that I could sleep an extra two minutes if I put my makeup on in the car on the way to work. But I'm not. My work day starts when it's light enough out to see without a flashlight, so I can let out the chickens and milk the goats. In my back-to-the-land days (eons ago) I lived for about two years with no other time piece than the sun. No one had a clock or a watch and didn't feel the need to have them. We got up when it was light, went to bed when it was dark, and did everything that needed to be done in between. "Time is money." We've all heard that. The question is, do we really believe it? Do you? I think that if money is our standard of value then we assume it's true. Personally, I think that's a very bad way to look at things and have written on the issue before. I won't repeat myself but will give you the links in case you're interested. My observation is that day-to-day living seems to be frantically paced for most people. As Dan likes to say, where is everybody in such a hurry to go? I can't help but wonder if they notice that they never really get there. 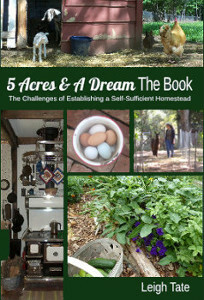 It's one of the biggest reasons we chose the homesteading lifestyle. We don't want to live that way. Anyway, let's get back to my new windup clock and how well it keeps time. No need to get in a tizzy, because these old-style clocks have an adjustment for just that. See the slot on at the bottom that looks like an emoticon's sad mouth? There's a little lever in there that can be moved to make the clock either faster or slower. With a bit of experimentation I was able to get it pretty much in sync with the atomic clock, as long as I remember to wind it regularly. My other option would have been to note how much time it gains or loses and simply adjust it everyday when I wind the clock. What could be simpler than that? I love it! Where did you find it, and what made you choose that particular model? I've wanted a wind up alarm clock with bells on top for years. I have two wind up travel clocks. The first Spring we lived here 2012 we decided that we weren't going to honor daylight savings time. It was great until Geoffrey became critically ill and then it became chronic. So with multitudes of medical appointments it became more then I could handle trying to do the time change math in my head to keep off the DST. But before we went belly up it was lovely. Dairy animals aren't fond of having their time messed with and neither is their owner. I could scream when hearing the "time is money" rubbish - do I look like a stock broker or something like that? we do have clocks in every room, they all seem to do more or less fine - but I don't usually care about a minute or two of difference. the only time I am forced to care is when I have to get the train! I can live with that, the rest of the time my watch stays in a box, my clocks run to their own tune - and I don't care:) it used to be different of course, when I still went to work, but even then I tried to avoid time pressure by going early, planning with plenty of time - and I don't wear make-up, so I never had to paint myself on the way:) (wouldn't do a good job with that, I'd say!) what I do agree to though: I often don't have enough money to buy certain things, so I have to use more of my time to do them myself instead of buying. saving time, but spending money... but then you'd know all about that yourself? Michelle, I went to Amazon first and read the reviews on numerous windup clocks. I liked this one because it got good marks for quality: it isn't all plastic for one thing. Apparently with some brands, the alarm goes off with no way to turn it off, but this one has a separate winding mechanism for the alarm. I did some price comparing and found the best price on eBay. There are plenty of windups with bells on the top out there, so you should be able to find the clock you want! I think I have one of those windup travel clocks somewhere! I need to look for it. It was my grandparents and made to last. Someone once told me that daylight savings time was invented so farmers could get more work done. Living like I do now, I know that's a bunch of baloney. DST doesn't create or save anything, it just changes the numbers. It's very confusing and all the critters know is that when it's light enough out to see, then it's time to eat! They do NOT care what the clock says! I remember those watches! It was a shame to switch to batteries because the batteries forever needed to be changed. That's the reason I stopped wearing a watch. Dawn, good for you! Actually I have to ask myself why in the world we have so many clocks, except perhaps because Dan like to have his meals at regular times. I have to agree that critters are wonderful time keepers. They know without a clock! It's true, being off by several minutes makes no difference in most things! I probably wouldn't have thought anything of it except for the poor reviews these windup clocks receive. It was set up to give urban folk more daylight to spend out of offices.....and supposedly use less power? As a person who has farmed most of my life I had not heard it was set up for farmers before! Time is money has been a huge detriment to society...time is precious and meant to be enjoyed and used wisely, not trampled on, in an insane rush to get ahead. We have two of these indestructible clocks. One makes us crazy as it ticks so loudly we can hear it from one side of the house to the other! They use no batteries and that is a wonder in this age. Enjoy your wonderful clock! Our electric goes out so much around here. I had a wind up alarm clock with the two bells on top for years. Every night when I went to bed, I wound it and turned on the alarm. (I'm still one of those who has to be to work "on time.") When that one finally wore out, I couldn't find another that actually worked so resorted to a battery clock. It's funny you should write this as I have been thinking I should look for one of the old wind ups again. The battery one has been having issues. Whenever I go on vacation, I always leave my watch at home. I love that feeling. The longest time I spent without any sort of timepiece was the month I spent boating the Grand Canyon and it was heaven on earth. Someday when the kids with schedules are gone, I'm going to lose the watch forever. I've read numerous historical fiction books where the first thing done each morning was to wind the clock. Around here most of our clocks are part of another device. In fact there are 3 in the kitchen...two go unused. one allows me to not show it at all! and seeing as the one of the stove is right there. I am pretty sure that we have a wind up travel clock around here somewhere. It the pattern-seeking in me that feels so bad for your little clock. Look at the back. Crazy wind up eyes, upside-down 3-corner nose, a couple warts and oh that heartbreaking frown. Poor little guy. I have clocks inside because Dr. appts; favorite programs, etc. need to be minded, but once outside - there is no time. Sometimes a quick outside which seems 10-15 minutes turned out to be well over an hour, even more. Time is not money. Time is life. Less is sad, more is better. Watching time more often than necessary, well, that's kinda wasting it, no? Let me try again. Ladies you are correct. One of my favorite quotes from a Facebook post is "Only a white man would cut off a rug at one end and sew it onto the other end and think he has a longer rug. " It was posted years back about DST. I think people are more engaged, when paying attention to their environment and learning how best to respond to it. Not always an option, but it's a notion people should attempt to explore more. I think it's getting harder to find things we're looking for with a search engine because of "search engine optimization." That's geared toward getting hits, not providing helpful products or information. Ha! I remember that saying. Why not just have summer hours and have folks come to work earlier in summer? On the other hand, there must be a tremendous sense of power in being able to control time. Well, I can definitely recommend this one. I found it here. Good for you Ed, to be able to enjoy some freedom from time! I think both time and money are very useful tools, but too often they seem to become dictators. I remember my grandfather winding the clock on the landing every night when he went to bed. Another nonelectric clock is a coo-coo clock! We have one but it's broken. Would like to fix that one too. Kris, LOL. That's the way of it, isn't it? I have to agree that my little clock has a very sad face on the back side. But he works! As my dear passed father in law said "you said a mouthful Queenie!" I stopped living by the clock a long time ago. I check my microwave clock a few times a day just out of habit. Mostly the dogs tell me when it's time to go out and eat! I have to set timers and alarms to remember things that need to be on time. My bf and I were at the dentist on Wednesday and the receptionist asked us if the 22nd would be a good follow up date, we kind of looked at each other and shrugged. He said "do you have anything closer, we're what the 3rd today?" I 'corrected' him and said "it's the 4th"...it was the SEVENTH. So it seems we've not only lost track of time but days and dates too! I still have my grandma's old pinch-the-hair-on-your-skin stretch band watch that winds. The thing I really disliked about the clocks I grew up with were the constant ticking. Besides that I'm more old fashioned and prefer less modern things. I have one of those old wind up clocks on a shelf near my bed. I forget to wind it and it goes dead. So, I just wind it up again when I think of it. I don't reset it, for the most part I just like the ticking noise it makes in the quiet of the night. Yes, so much of it is habit! I have to laugh at myself because I don't even own a watch and yet we have all these clocks! Time, like money, is a useful tool, but shouldn't have to be a necessity.